New Release || January 30, 2016 || No matter how fast you drive, love has a way of catching up to you. Comments Off on New Release || January 30, 2016 || No matter how fast you drive, love has a way of catching up to you. No matter how fast you drive, love has a way of catching up to you. After starting work in a new city, Cynthia Kent tells herself to stay away from Mark Sable, her boss’s son and Arizona’s most notorious ladies’ man. She can’t handle a relationship, especially with a smooth-talker like Mark. After a PR disaster that threatens to derail the entire company, Cynthia and Mark are thrown into a cross-country road trip along Route 66. All they have to do is record their travels and look like they enjoy the ride… In other words, they have to lie through their teeth. 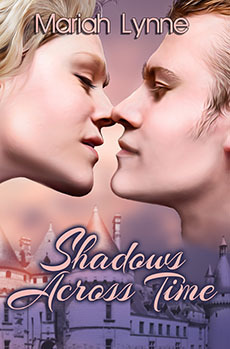 What starts out as a rocky road soon turns into a journey of discovery and blossoming romance. Mark isn’t exactly the cad he seems, and Cynthia soon finds out she has a wild side she never knew existed. As the trip continues, Cynthia and Mark discover a lot about their country, each other, and themselves… but can a new romance survive the rough road ahead? Just as she pictured, the building was beautiful on the inside. The far wall was a single sloping pane of glass positioned directly above the city. The lobby itself was about three stories tall, with giant lamps hanging from the ceiling. The whole place was a beautiful meld of connecting lines, glass, and metal. Directly in front of her was one of the Green Streak motorcycles displayed on a circular platform. It was the centerpiece of the lobby, the crowning jewel of SableDyne’s lineup. Cynthia had spent countless hours hunched over identical bikes for the last six months, but she’d never really appreciated Green Streak’s beauty until that very moment. It was pure power. It was speed. It was lightning on a stick. “Like what you see?” a man said behind her. Cynthia let out a startled gasp and spun around. She hadn’t heard anyone approach. This guy was gorgeous. He was tall, blond, lightly tanned. He wore the hell out of his dark blue suit and red tie. Cynthia wanted to admire his thick shoulders and wide arms, but she couldn’t look away from those green eyes. “You’re Kenneth Sable’s son,” Cynthia said. “I see my reputation precedes me.” A half-smirk spread across his face, and Cynthia recognized it as the same smirk that his father wore every time he tried to get a little hands-on with his employees. Most women would find a smile like that attractive, or at least playful. Most women would swoon at those dimples. Cynthia couldn’t even look at him anymore. Cynthia decided then and there that she would avoid Mark Sable at all costs. If he was anything like his father, that meant he was trouble. She loved SableDyne, but she had nothing but contempt for the Sable family. Mark Sable led her through the lobby and into the main building. Cynthia was excited to see everything, but she couldn’t shake the feeling that Mark was leading her straight into the lion’s den. Mark smiled to himself as he realized that even though Cynthia had no idea where she was going, she was still leading the way. She walked about three paces in front of him, her long legs moving in a steady rhythm. Mark trusted his father’s judgment above everyone else’s, perhaps even his own. They were up on the third floor now. Her office was here. His was two stories up. He led her to a door marked “Cynthia Kent” in gold letters. “This is it,” he said. 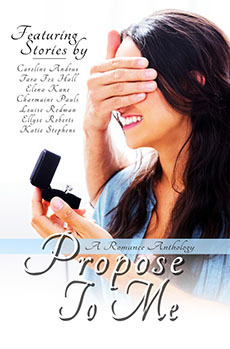 New Release || January 23, 2016 || Can Maggie find true love with a fake fiance? Comments Off on New Release || January 23, 2016 || Can Maggie find true love with a fake fiance? “Excuse me?” a soft, feminine voice said. Nicholas Capra’s head shot up and he focused on a pretty, red-haired woman’s impish expression. He’d noticed her inside the airport terminal while waiting to board the airplane. Now he gazed at her long, curly russet-colored hair, and at eyes that reminded him of dew-spiked grass in early spring. Her smile nudged an answering grin of male appreciation from him. The baby fidgeting in her arms drew his attention. 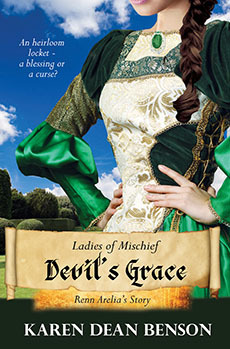 She was a sweet, dark-haired little imp who looked nothing like her mother. Looking down, he saw that the strap of her diaper bag had caught on the arm of his seat. His legs were sardined into the leg space, and he struggled to release it. Finally, he managed to free the strap. “Thanks,” she said as she turned away. “You’re welcome.” He returned to his game of solitaire, staring down at his computer monitor as his early warning system kicked in; Woman…baby…off limits. Nick turned in his seat and followed her as she struggled down the aisle. She carried a purse over her shoulder, the large diaper bag swung from her forearm, the baby she clutched against her breast. He thought about her sitting in coach while she could have used the space a first-class seat offered, where he sat. Some guy was lucky to have her as his wife and a cute kid, besides, both things he’d been thinking a lot about lately. Of course, he knew the reason why. His mom and dad badgered him each time he visited. What? No girlfriend, yet? No girlfriend. Hardly any dates due to his hectic schedule at the hospital. As a pediatrician with a burgeoning practice, he had little time to call his own. He’d decided to make time, though, especially every time he saw his nieces and nephews. Just when he decided to give up his first-class seat, the seatbelt light came on to buckle up. By the time the light went off he glanced back to find both the redhead and her baby settled into her seat and sound asleep. Two hours later the airplane landed at the Minneapolis International Airport. Nick exited the plane and moved into the terminal, shuffling around people and gazing over the crowd, searching for his family. “Sorry,” he muttered when he ran into the person ahead of him. He had been so busy looking for his parents he hadn’t noticed the redhead had come to a dead stop directly in front of him. “Pardon me,” she said, throwing a casual glance in his direction. Then she turned away and stared into the distance. “Oh, darn,” she said, to no one in particular. Nick tried to maneuver around her. “What’s the problem?” He glanced at the squirming baby in her arms then into her worried expression. Detroit debutante-turned-investigative journalist Iris Edwards gets more truth than she can handle when she tackles her rich and infamous grandfather’s tell-all biography. By accepting his challenge to find his “Unforgivable Sin” and write the true story of his life, she’ll have to unravel a web of Machiavellian intrigues dating back to the days of copper mines, gangsters, and rum-runners to find a deadly secret that could rewrite history. 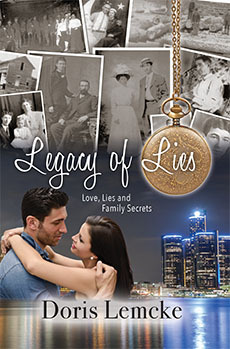 With only a charred pocket watch and clues hidden in half-forgotten bedtime stories, they dodge Iris’ gangster-wannabe ex-husband to trace his life from an Upper Peninsula ghost town to an insane asylum and the Henry Ford Museum—to find a killer, a hero, and the real meaning of truth, love and sacrifice. Between love and honor, her choice will determine which one of them will die. Tough and invincible Maya Martin is part of Cain Jones’ paranormal crime taskforce. Her ability to manipulate water makes the South African born hydromancist an invaluable asset to the team. When AK47’s are smuggled from Mexico to Zimbabwe via Costa Rica, Maya is sent on a mission to destroy the arms, and to expose the syndicate. Her main suspect is the new Australian ambassador, Timothy Fardel. But the dark side of his personality is not the hidden truth Maya expected. Neither are the emotions that get in the way. Faced with honoring her oath, or following her heart, Maya has to make the most difficult choice of her life. Eve Quinn goes missing. Twenty-seven years later Clara Christensen is found. 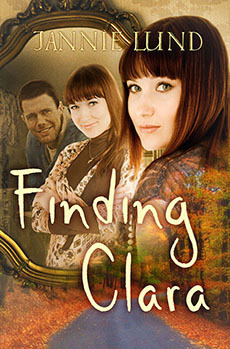 On her quest to find out who she is and where she comes from, Clara finds a new family and an old love. Trying to combine Clara and Eve, as well as living up to everyone’s expectations of who she should be is difficult. The new family doesn’t help. But the old love does. 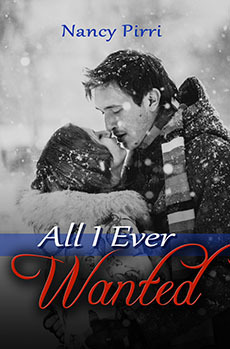 Duncan Cantwell has never been able to forget the woman who stole his heart, but he never expected her to stroll back into his life as the long lost daughter of the family who gave him a home when he was a boy. In the most unexpected way, Clara and Duncan find each other again. They are not just lovers torn apart by circumstance, however. They are in the middle of a family struggling to come to terms with reality. 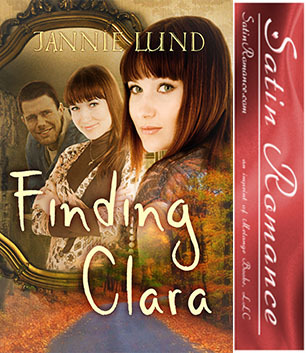 Love has a hard time flourishing, but Clara and Duncan have beaten the odds before.